Masterfully handwoven and knotted using the finest Nepali wool and silk, this artisan rug features a truly unique abstract pattern and inspired color palette. 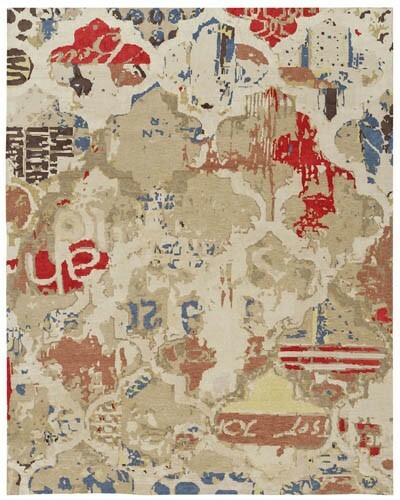 A chic and sophisticated contemporary piece, the Zineb rug is original and adds clavor to any modern interior. Beautifully resilient and lustrous, the thin and exquisitely soft pile feels amazing to the touch.